That there be only one sentence in favor of executive nullity – It appeared opportune, in the first place, that there no longer be required a twofold decision in favor of marital nullity, in order that the parties be admitted to new canonically valid marriages: the moral certainty reached by the first judge according to law should be sufficient. A single judge under the responsibility of the Bishop – The constitution of a single judge in the first instance, who shall always be a cleric, is placed under the responsibility of the Bishop, who, in the pastoral exercise of his own proper judicial power shall guarantee that no laxity be indulged in this matter. The Bishop is judge – In order that the teaching of the II Vatican Council be finally translated into practice in an area of great importance, the decision was made to make evident the fact that the Bishop is, in his Church – of which he is constituted pastor and head – is by that same constitution judge among the faithful entrusted to him. It is desired that, in Dioceses both great and small, the Bishop himself should offer a sign of the conversion of ecclesiastical structures, and not leave the judicial function completely delegated to the offices of the diocesan curia, as far as matters pertaining to marriage are concerned. Increased brevity in the legal process – In fact, beyond making the marriage annulment process more agile, a briefer form of trying nullity cases has been designed – in addition to the documentary process already approved and in use – which is to be applied in cases in which the accusation of marital nullity is supported by particularly evident arguments. In any case, the extent to which an abbreviated process of judgment might put the principle of the indissolubility of marriage at risk, did not escape me [writes Pope Francis – ed. ]: thus, I have desired that, in such cases the Bishop himself shall be constituted judge, who, by force of his pastoral office is with Peter the greatest guarantor of Catholic unity in faith and in discipline. Appeal to the Metropolitcan See – It is fitting that the appeal to the Metropolitan See be re-introduced, since that office of headship of an Ecclesiastical province, stably in place through the centuries, is a distinctive sign of the synodality of the Church. The proper role of the Bishops’ Conferences – The Bishops’ Conferences, which must be driven above all by the anxious apostolic desire to reach the far-off faithful, should formally recognize the duty to share the aforesaid conversion, and respect absolutely the right of the Bishops to organize judicial power each within his own particular Church. There-establishment of vicinity between the judge and the faithful, in fact, shall not be successful if the stimulus does not come from the Conferences to the single Bishops, along with the necessary assistance, to put into practice the reform of the marital nullity process. 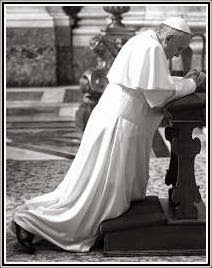 The Vatican today announced that a press conference will be held at noon tomorrow for the presentation of two Apostolic Letters of Pope Francis, given motu proprio: Mitis iudex Dominus Iesus and Mitis et Misericors Iesus. These concern the reform of the canonical process for the causes of declaration of nullity of marriage (commonly called "annulment") respectively for the (Latin-Rite) Code of Canon Law and the Code of Canons of the Eastern Churches. The extremely short notice given for the press conference (only 24 hours) is highly unusual, as is the speed with which this reform has been accomplished -- less than a year! The Commission for the reform of the canonical process for declarations of nullity of marriage was announced only on September 20, 2014. It is feared by not a few that the reforms will amount to a major simplification of the process and a greater ease in the granting of annulments, as already explained by Don Pio Pace in an essay on "Catholic Divorce" published by this blog in November last year. Merely to illustrate how much things have changed in just three years: in 2012 the Vatican also had a project to reform some aspects of the canonical process for declarations of nullity. The major difference is that this project had as its aim to tighten, or make stricter, the grounds for granting these declarations -- not make these easier to obtain. 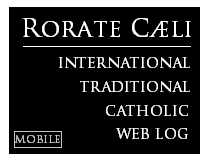 (Rorate posted about this in May 2012.) One of the driving forces behind this "Ratzingerian" version of annulment reform was Cardinal Burke, whose removal from the Apostolic Signatura in November 2014 was, at the very least, highly convenient for the partisans of annulment simplification.